Take advantage of all the benefits your checking account has to offer. 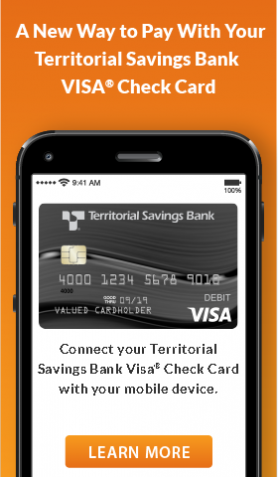 Whether you still use checks or bank with your SmartPhone, we have an account for you! There are great advantages to owning a house. Let us help you get started. Make purchases, get cash, and register your card to earn rewards! Pay yourself first! TSB Savings accounts make saving worthwhile!